The future of office design will be full of variety and quick progression, as organisations aim at creating accommodative environments. Therefore, offices and business establishments must implement innovative flooring designs to meet this ever changing design landscape. As generation Z becomes absorbed into the workforce, most organisations will be composed of some of the greatest innovative minds and technology users. This means you need to consider how to make your workplace millennial-friendly in order to enhance productivity. Your company’s culture needs to adapt to the changing society. From the work atmosphere and employee relationships to salaries and benefits, perception of the workplace is paramount to gen Zs and millennials rapidly being absorbed in the labour force. Your employees are just as crucial to your business success as customers. So when looking at your office environment it critical that you ask yourself, “Does the atmosphere provoke a positive vibe for our employees?” Your office can help you retain the existing and incoming personnel through the following innovative office design trends. 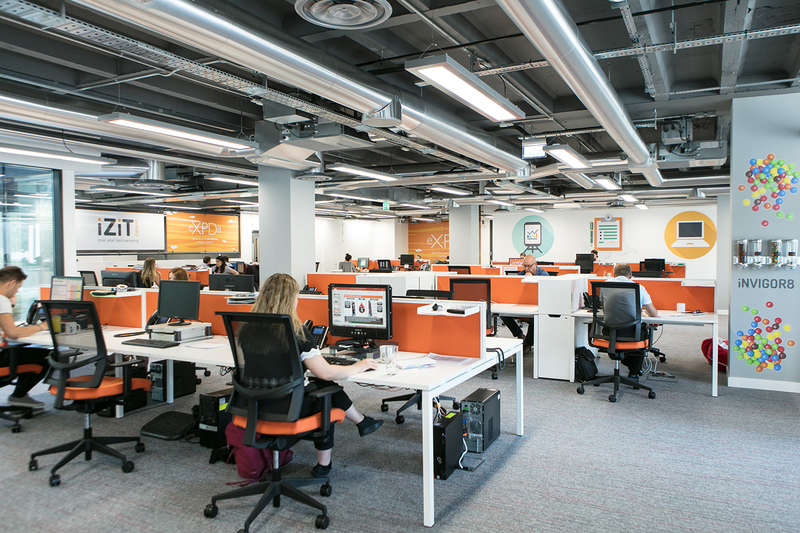 A vibrant office makes it easy to retain existing employees and recruit new talent. According to the psychology of colour, positive mental and emotional responses can be instigated using appropriate colours. As mentioned in our previous blog, utilising colour as a wayfinding tool in your office, it can also impact productivity by allowing new employees to quickly find and recognise key areas. Most generation Z and millennial employees prefer collaborative, flexible and energetic corporate environments. 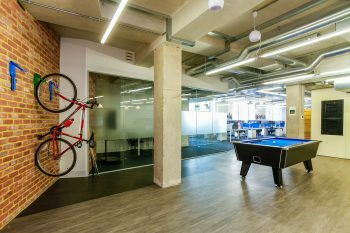 Therefore, an office space that promotes exercise and comfort is directly aligned with the core values of these generations. 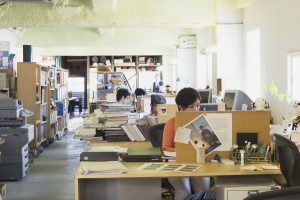 Activity-based office designs are your best option. Such an office is open and interactive, thus encouraging employees to move around and stretch with ease. This showcases your organisation’s commitment to employee aptitude and wellness. For a modern activity-based office, stone effect tiles or vinyl wood-effect planks can be effectively used as seamless transitions between different activity zones, which enhances flexibility and comfort for various types of activities. Millennials and Gen Zs prefer working in environments that are diverse, personalised and inspiring. This can be achieved through material variation. If you want your employees to be in an environment that is continually encouraging hypervigilance, then you need to mix things up in your design. Unique entrance matting will always maintain the right first impression. Heavy-duty carpet tiling with mixed colour shades is also ideal for creating unique designs for high traffic areas. Depending on your budget, you can also opt for Duraflor’s Hexxtile tiles to introduce unique shapes, texture, and colour in your office. Incorporating green changes into your office design should be your primary concern. The young generation dominating the workforce is concerned explicitly with matters of health and environmental protection. Companies that are actively involved in sustainable changes get positive responses from both customers and employees. 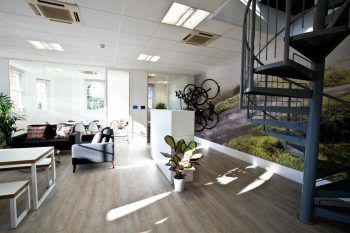 According to the Health, Wellbeing & Productivity in Offices report by the UK Green Building Council, multiple elements can be changed in the average office to be greener, more efficient and overall promote better health. Is design more important than office location?